Buy Persol PO8129Vglasses online today at a friendly price. Originally made in 2016, Persol PO8129V glasses are lightweight metal frames. They are comfortable to wear and are designed in signature Persol glasses frame style. Each pair of these authentic Persol glasses ships worldwide with authenticity certificate, Persol box, glasses case and a cleaning cloth. After the order is placed, glasses Persol PO8129V will be packed and shipped to you via fastest shipping method to your location. Please note that when buying eyeglasses online that were manufactured in more than one size, you need to be attentive, especially if you are buying eyeglasses frames for replacement. Prescription lenses from old frames will only fit when the size matches. Size is written on glasses temple or sometimes on inside the nose bridge. Size does not matter if you are buying Persol PO8129V with prescription lenses. About Manufacturer Persol is one of the oldest fashion eyewear brands in the world. Persol was first made as a military sunglasses and goggles and then evolved into men's military sunglasses brand and now a fashion brand. Persol sunglasses are mostly known for their patented design of flex hinges and also for the quality hand crafted details around the temples and bridge. Persol sunglasses have been an accessory in many movies and all time favourite of James Bond character played by Pierce Brosnan and Daniel Craig in first few James Bond movies. 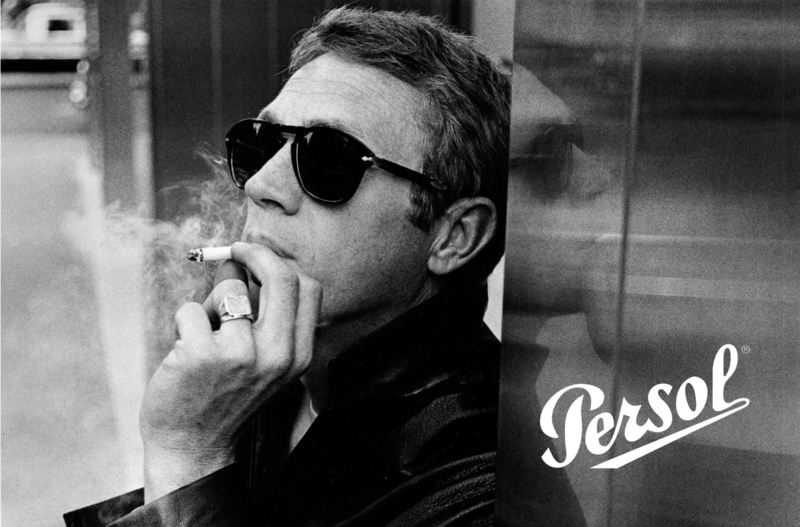 Steve McQueen was the first celebrity to wear and advertize Persol glasses and sunglasses giving the brand world-wide fame. Buy authentic Persol sunglasses from EyeInform website. Buy Persol frames with lenses and Persol glasses without lenses for fast shipping and easy returns.